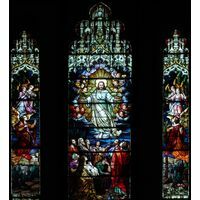 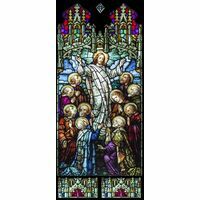 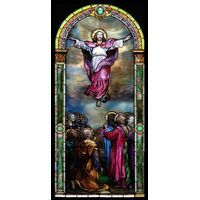 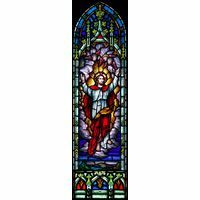 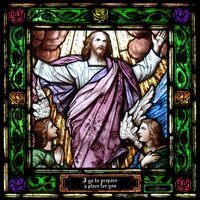 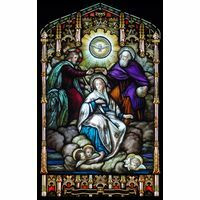 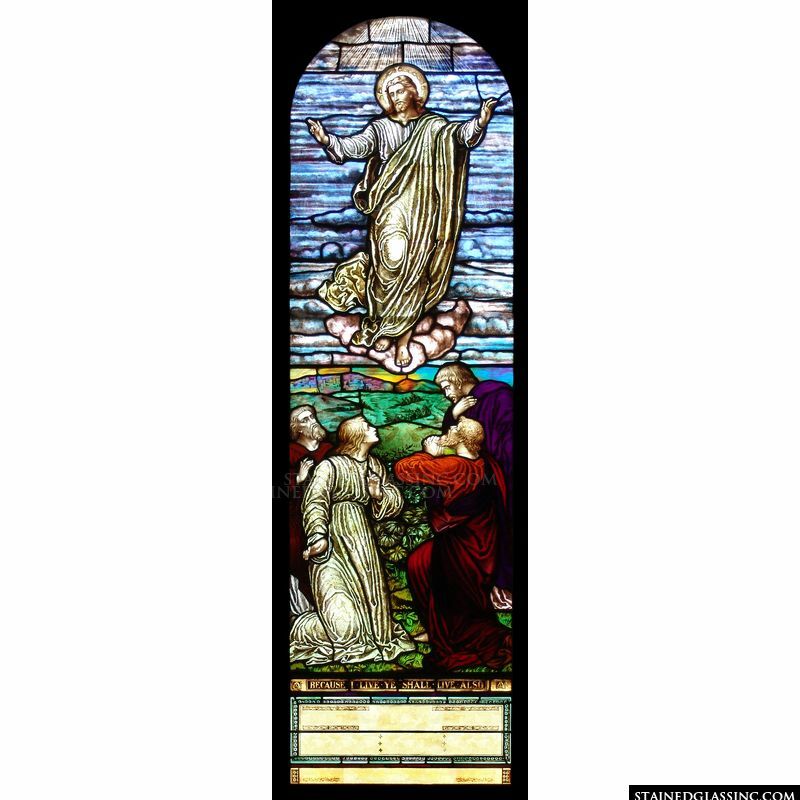 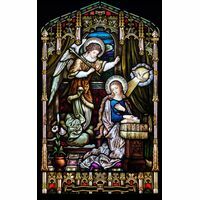 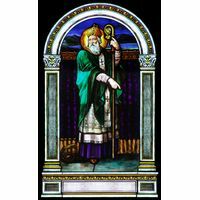 This elevating and instructive stained glass art panel is beautifully and thoughtfully designed. 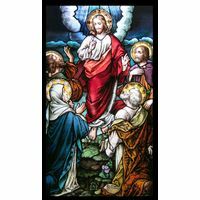 Its main imagery illustrates the moment that Jesus Christ returns home to his Father in Heaven to take his rightful place alongside Him and rule as King. 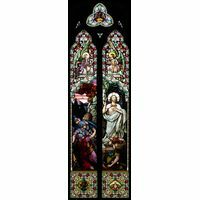 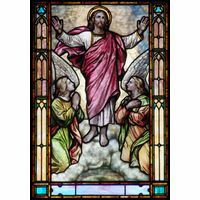 This particular interpretation of this often seen Christian image uses a wide array of bright and lush colors as well as includes an ample area for an inscription, including a name, Bible verse, or quote.